23 years! — It’s amazing all we’ve done and seen over these past years. 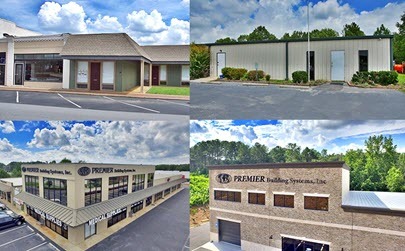 From its humble beginnings in 1995 in a small office in Buford to our custom built offices in Monroe, Lawrenceville, and now Braselton, Premier has seen fantastic growth. Over two decades of industry ups and downs, building booms, recessions and everything in between; we have grown as a business and as professionals. We are thankful to all of our business partners and customers for making this journey successful from a business standpoint but also, and more importantly, from a personal standpoint. We love what we do and look forward to the next 20+ years!